Renaissance is our cultural festival held every year. It is a time when all the three educational institutions of MJC come together to organize this cultural program that gives an opportunity for our children to organize such an event and also participate and compete with their compatriots from different schools and colleges from Coimbatore. 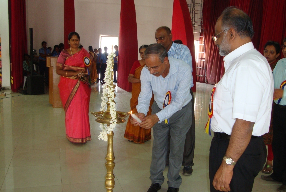 Renaissance was started in 2013 and over the last three years it has grown to a prestigious event in Coimbatore attracting participation from a number of colleges and schools. 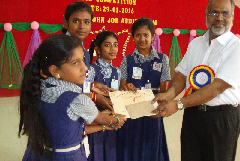 The Inter-School Competitions were held on the 29th January 2016 the Inter-Collegiate Competitions were held on the 30th January 2016. The Inter-School event had separate competitions for primary school children and higher secondary school children. 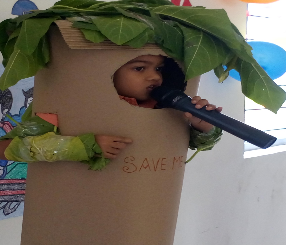 Competitions for the toddlers were Book Reading, Dance, Puzzle Solving and Fancy Dress. 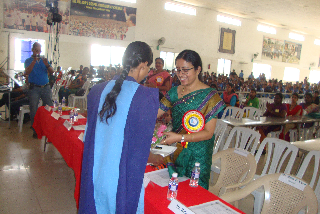 Competitions for senior students included Dance, Music, Drawing& Painting and Elocution. 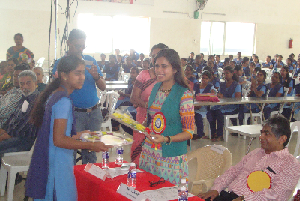 Around 180 students from 16 schools participated in the competitions. Mr Dinesh Tyagi IAS (Retd) who is currently the CEO of CSC –SPV Limited and Dr V P Joy IAS Joint Secretary, Cabinet Secretariat and his wife Ms Sheeja Joy were the dignitaries present for the day. Their speeches were very motivating for the children and the faculty members. The overall Championship Trophy was bagged by GRD-CPF MHSS Neelambur. 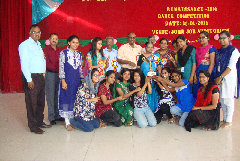 Inter Collegiate Competitions included Dance, Elocution, Music Rangoli &Mehandi. 160 participants from 18 colleges made the competitions really exciting. 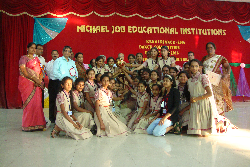 C.M.S College of Arts, Science and Commerce was the winner of the Michael Job Memorial Rolling Trophy.